No one knows how Nemo ended up at the Baldwin Park Animal Shelter in Los Angeles, California. But the news was bad. 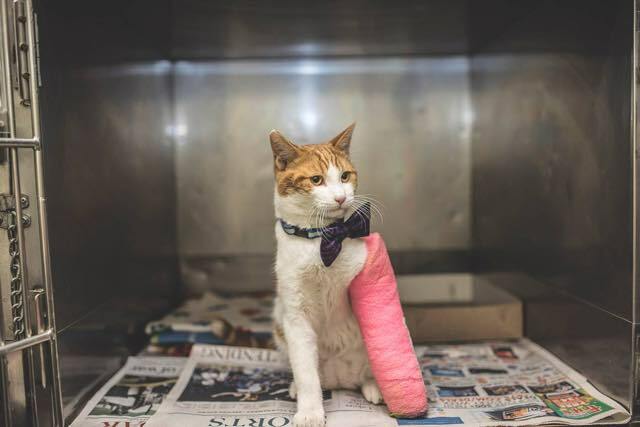 Not only did he come in with a broken leg, but he ended up at a kill shelter. This poor little guy was given only minutes. 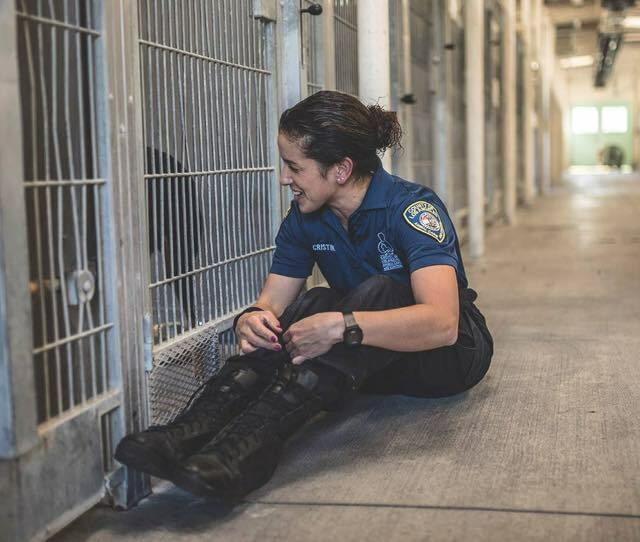 But Cristina Garcia, one of the shelter’s compassionate workers was able to stop them in time, and he was given a few more days to capture the notice of potential new owners. Nemo was only 11 months old and had a rough start to life. He was fixed up, and ready to be adopted. Cristina knew that he was special. Not only did they bond quickly, but he even jumped onto her shoulder, complete with cast. She just knew he had to be given the chance to find a loving home. This led to her begging her coworkers to give him more time. They gave him until December 11th, 2015. 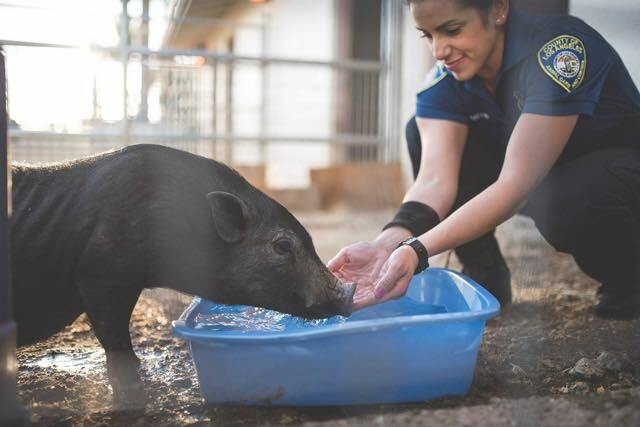 The shelter has more than cats, they also have pigs. 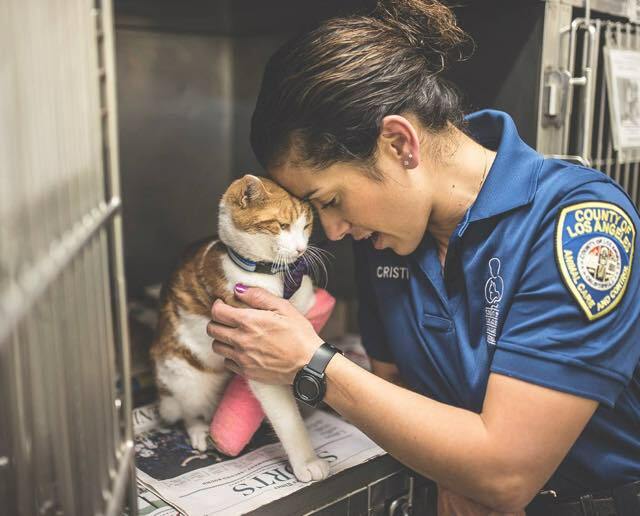 Cristina often spends time on her breaks caring for the animals. 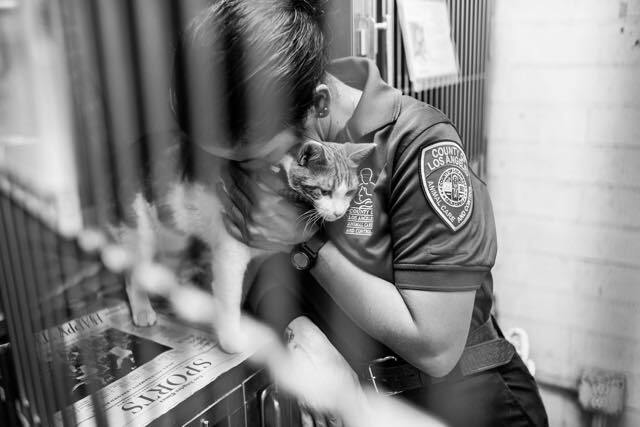 Cristina has saved Nemo’s life more than once, and hopes that he’ll soon be adopted. Don’t worry, I know your forever home is out there! UPDATE: Great news! Nemo has been adopted! He’s now living happily in his furever home! A close call, but such a happy ending—SHARE this story with your friends if you enjoyed! !